By Queen. Arranged by Chris Peterson. 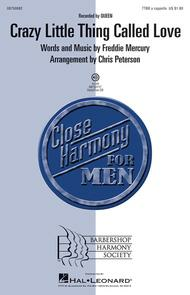 Barbershop Harmony Society. A Cappella, Barbershop, Rockabilly, Pop. CD. Published by Barbershop Harmony Society (HL.8750117).